I would respect [your criticisms of a writer being "counterfeit"] a tad more if you did not hide behind a blogger ID, but posted using your real name. Burroughes probably forgot that the person he idolizes and worships more than anyone in the world, and more than anyone in history — Ayn Rand — herself used a counterfeit ID. "Ayn Rand" was a nom de plume, a fictionalized novelist ID she invented for herself. 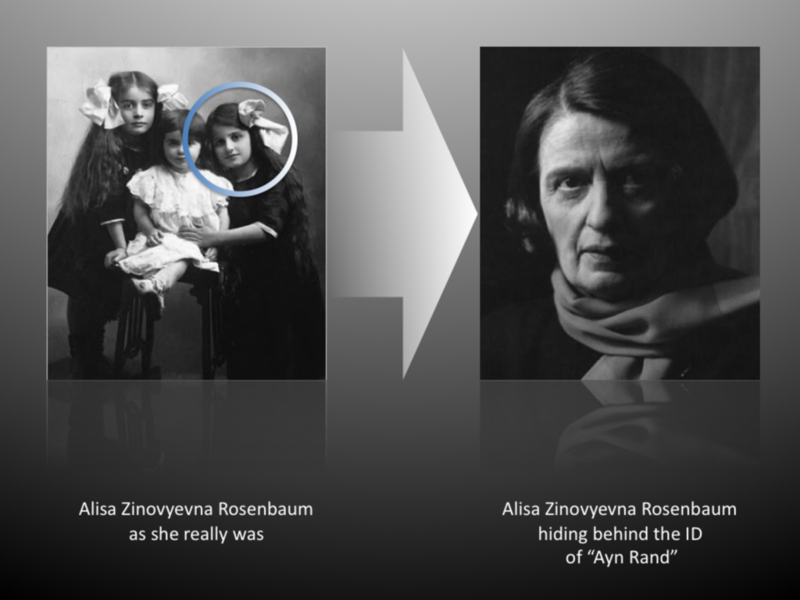 Her real name was Alisa Rosenbaum. If it's all right for someone born with one name to publish novels under the name "Ayn Rand", why would it not be all right for someone else born with one name to publish blogs under the name "seymourblogger"? It would be nice if Burroughes practiced a little consistency in his reasoning. But we won't save our breath.